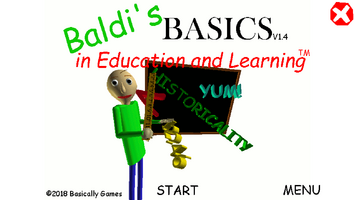 Baldi's Basics in Education and Learning 1.4 is out! 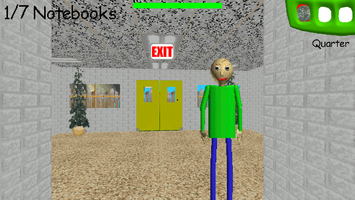 This update doesn't contain any major new features, but it does bring a lot of huge improvements, making it the best playing version of Baldi's Basics Classic! 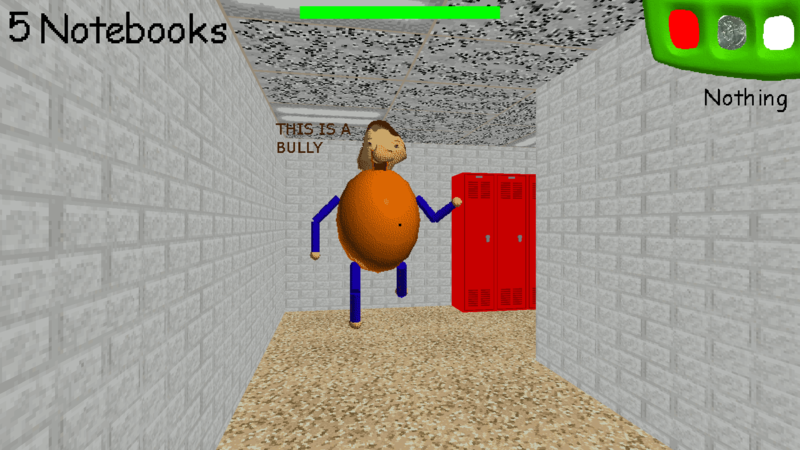 I hope you guys enjoy this until the full game is complete! 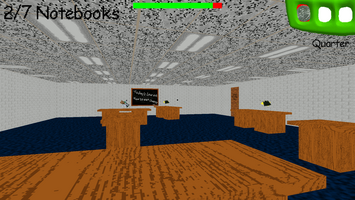 Added occlusion culling, which greatly improves performance. 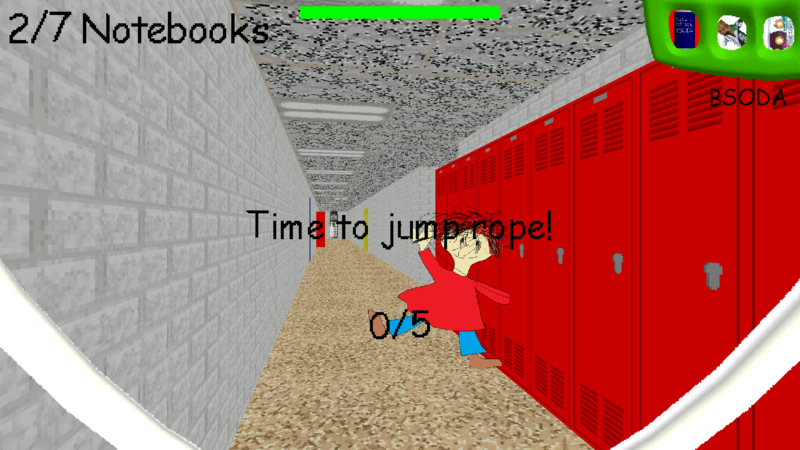 Fixed bug where you would start in the air when jump roping for second and all subsequent times. 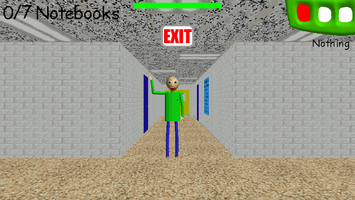 Fixed mouse movement being detected while paused or while in a YCTP. Greatly improved player movement. Whereas before you could easily get hung up on level geometry, now you'll smoothly slide alongside it! 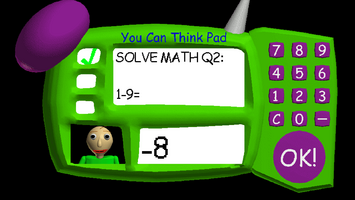 Added a num-pad to the YCTP for easy touch screen input. Fixed blurry "Dab" chalkboard and comic walls. 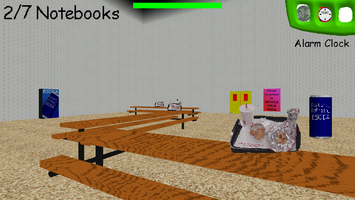 Rebuilt menu system, now with proper screens for story, credits, and options. 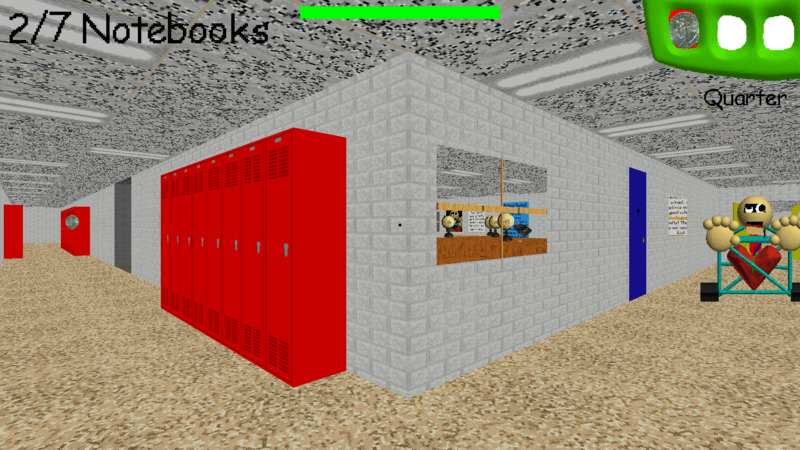 Changed one of the extra red notebooks to the missing yellow notebook. 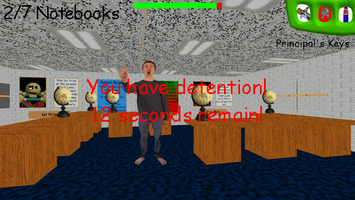 Fixed a bug where the Principal of the Thing sometimes wouldn't send It's A Bully to detention. 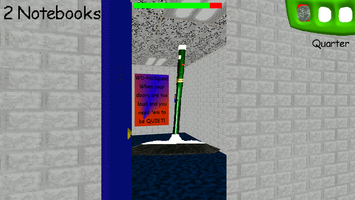 Fixed a texture bug where the walls next to doors appeared squished. World no longer renders when in a YCTP resulting in better performance while solving problems. 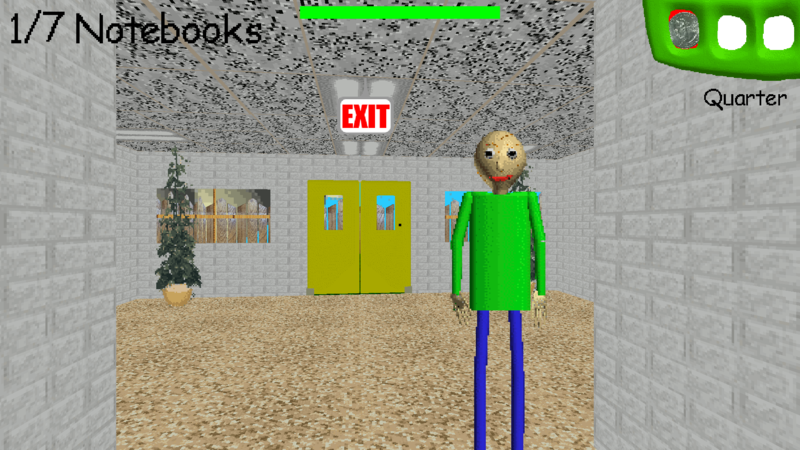 Fixed bug which caused Baldi to ignore detention after getting all three problems in the YCTP wrong. 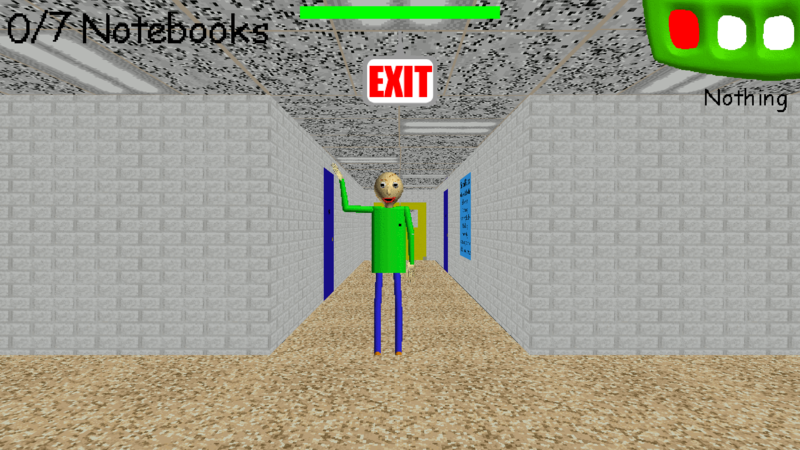 Slightly improved NPC navigation. Should perform better on lower spec PCs. 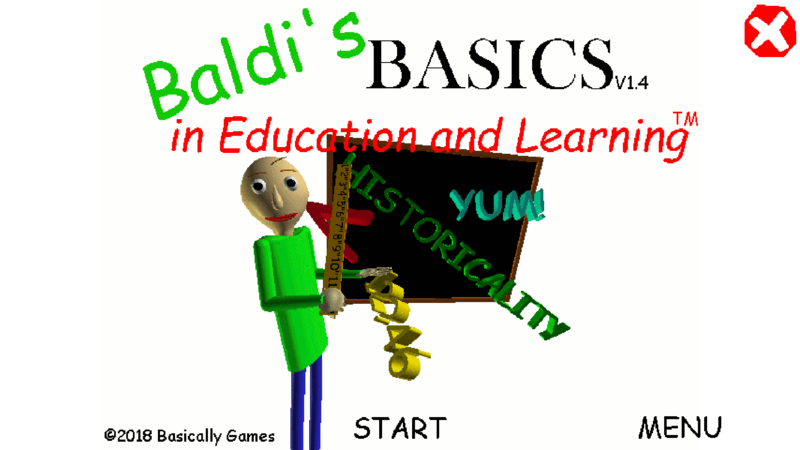 Fixed Baldi failing to lip-sync properly when starting a game. Lots of other small tweaks and improvements. Android versions released! 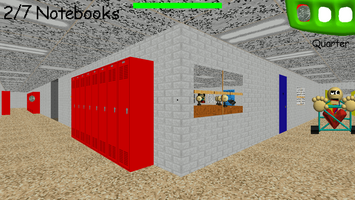 Here's how to install it. 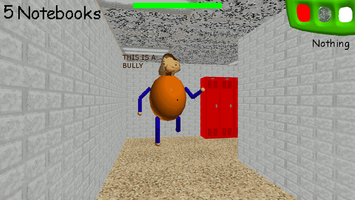 1.3.2 Update Changelog - Mouse issues fixed! 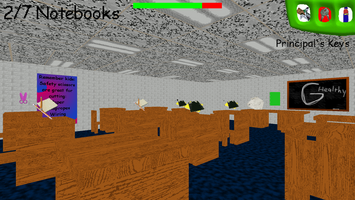 1.3.1 Update Changelog - Mouse issue is not yet fixed, but there's a workaround.